Last but not least, the Fanatec CSW V2. 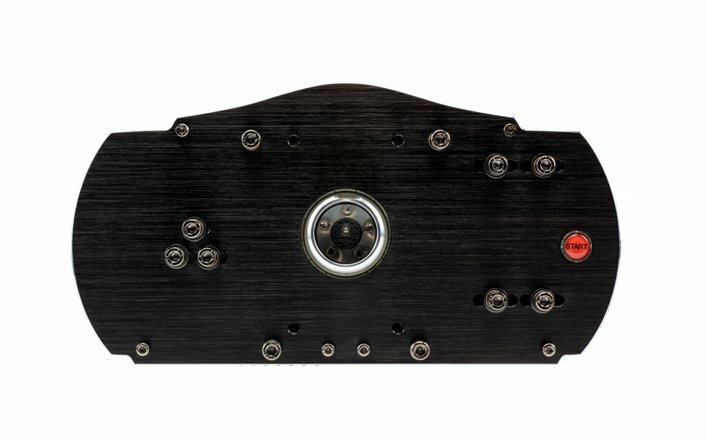 Originally released in late 2014, you could only obtain one with an invite code if you were a previous owner of a Fanatec product. The invite only purchase method has been lifted and the V2 is available to the general public. The CSW V2 starts at $599 for the base only without rims or pedals and we’ll get to the price of a full package after we tell you more about it. Compatibility: It’s the only wheel on this list that’s compatible with the PC, PS3, PS4 and Xbox One. You need this Xbox One hub for it to work with all those systems though. Wheel Rotation: 900° to 270 of rotation that adjustable on the fly through the wheels tuning menu. You can also adjust force feedback strength, vibration and a lot of other options though this menu, all on the fly. Rims: 12″ / 30 cm CSL rim is their new budget wheel for this base. Retails for $139 and has 12 buttons and a directional stick. Also has metal paddle shifters attached to the rim. Rim is detachable using their basic quick release system. 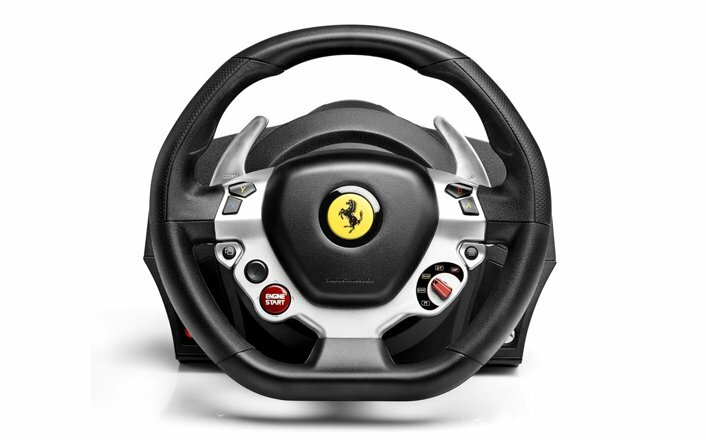 Paddle shifters are included in the hub and with some of the rims that have the buttons and paddles integrated. Currently at Fanatecs site there are two pedal sets you can use with the V3. The Clubsport V3s or the CSR pedals. The V3s retail for just under $300 and the CSRs which we wouldn’t recommend are $79.95. 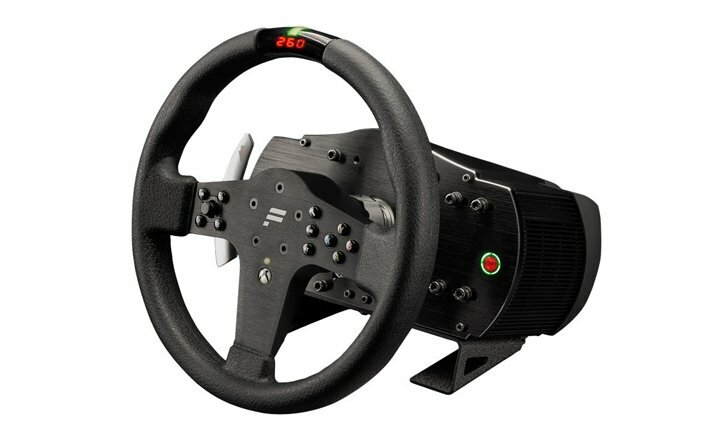 You can also use G25, G27 or G29 pedals with an optional adapter. 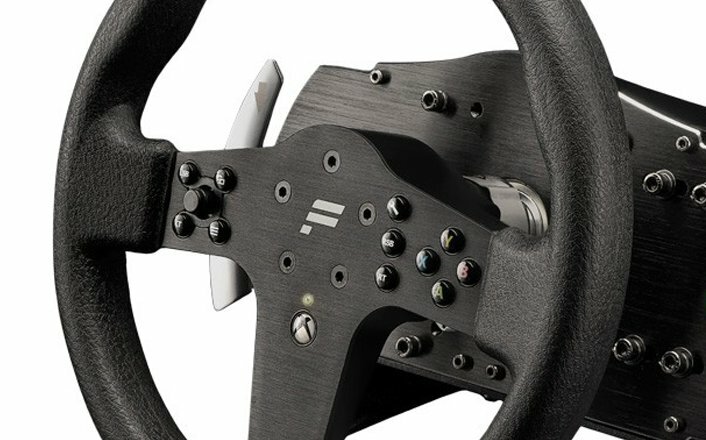 You would also be able to use Fanatec CSR Elites or the original V1 and V2 Clubsport pedals if you can find them second hand . The options vary greatly with this base and so do prices. On the low end, you could get the base for $600, the CSL rim for $139 and then $80 for the CSR pedals and you would be at $820 all the way up to $1300 with the Xbox One hub with one of the many rims it’s available with and the Clubsport V3 pedals.